Savoury Turkey Veronique Rustic Meat Pie | Homemade & Yummy Homemade & Yummy | Fun delicious recipes and more. This post contains affiliate links (*). That means that I make a small commission from sales that result through these links, at no cost to you. By using these links, you help to support my blog. Read my Disclosure Policy. Savoury Turkey Veronique Rustic Meat Pie combines ground turkey, grapes and a white wine cream sauce, under a rustic lattice crust. Something a little different for the weeknight dinner. Do you ever get in the dinner rut? Preparing the same old standby week in and week out. You want to make something different, but time always gets in the way. Sometimes a “special occasion” falls in the middle of the week, what can you make that is easy and different? Taste the wonders of the world, right from your kitchen. 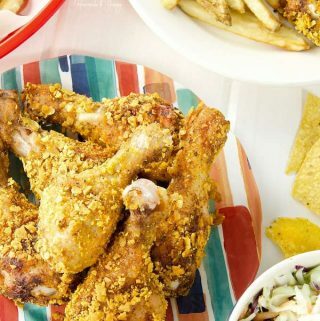 If you can’t travel to other parts of the world, you can still make country inspired dishes at home. Do you have a favourite cuisine? Italian, Mexican, Asian? French cuisine seems to intrigue the palette of cooks everywhere. Veronique sounds so fancy, yet it really is the French version of a pot pie. A fancy pot pie seems like the perfect midweek “winner dinner”. Who says it has to be fancy to taste good. 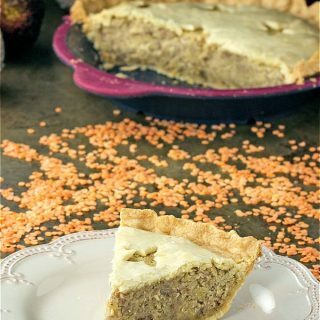 This Savoury Turkey Veronique Rustic Meat Pie comes together quickly. Turkey in a white wine sauce, all under some pastry. I could eat this any night of the week. A long time ago, my first collection of cookbooks started with the Company’s Coming series by Jean Paré. These books sparked my interest in cooking. Right from the very first book, I realized that cooking didn’t have to be fancy to taste good. Taking everyday ingredients and turning them into mouthwatering dishes your family loves is really what cooking (for me) is all about. My food motto is “Food doesn’t have to be complicated, but it does have to taste good”. Don’t be scared to experiment in the kitchen. Do you like to substitute recipe ingredients? Sometimes I do because in the middle of making a recipe, I realize I don’t have a particular ingredient. Other times I change things up to test out a different protein, spice or vegetable. Jean’s original recipe was Chicken Veronique, but since we love turkey, my version subbed in ground turkey for chicken. We eat turkey all year long in our house. 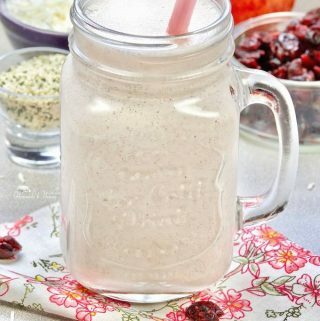 It is so easy to replace other meats with this healthy, tasty protein. People seem to think that French cooking is complicated. Are you one of those people? French cuisine is justly esteemed for its sauces, and brandy and wine form the foundation of many of them. Even if you don’t want to spend a lot of energy on saucing, a few tablespoons of a quick pan sauce can make the difference between something ho-hum, and something really special: Sauté a piece of meat, chicken or fish, and remove it from the pan; deglaze with a little wine or brandy to pick up the flavourful browned bits that cling to the bottom of the pan. Add a touch of cream, or a bit of butter, to thicken and enrich the juices, and you’ve got something that tastes like you spent all day on it. 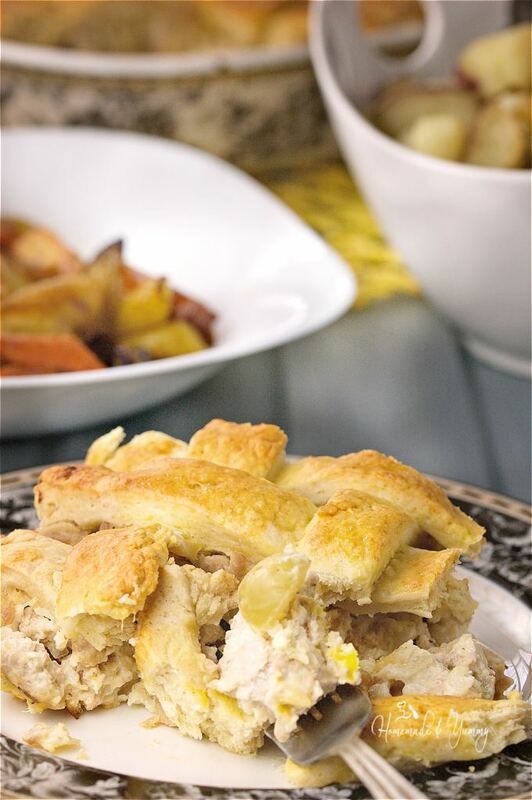 This pot pie uses simple ingredients and is easy to make. I happen to think “rustic” is a fancy word for homemade. Throw some wine in the sauce, more in my glass, and you have a delicious dinner and a happy girl. Somehow anything under pastry turns out so yummy. Savoury pastry dishes rock. 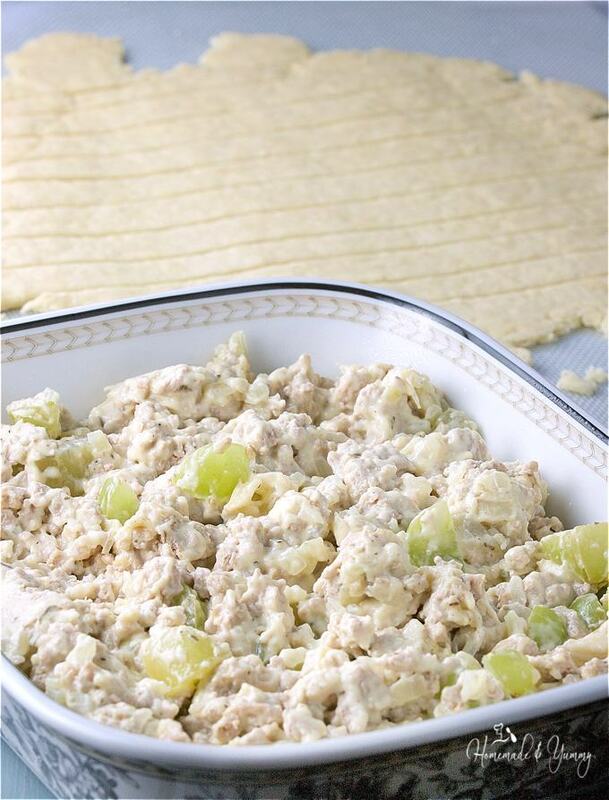 Green grapes, ground turkey in a white wine cream sauce, under a lattice pastry top, turn simple ingredients into a special occasion French cuisine any night of the week. Bon Appetite!! Savoury Turkey Veronique Rustic Meat Pie lets you taste the flavours of France in an uncomplicated and budget friendly dinner. Perfect for leftovers too. Be sure to sign up for my WEEKLY NEWSLETTER and get your FREE printable. Want to visit France a little longer? Give these Sparkling Strawberry Crepes a try. Perfect for the weekend brunch. 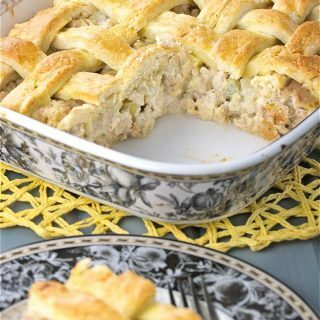 Savoury Turkey Veronique Rustic Meat Pie combines ground turkey, grapes and a white wine cream sauce under a rustic lattice crust. Preheat oven to 425º F.
Grease a dish (round, square or rectangular) and set aside. In a measuring cup combine the evaporated milk and flour till smooth. Add the salt, pepper and Provencal Herb seasoning, combine and set aside. In a skillet heat oil over over med-high heat. Sauté the turkey until no longer pink (about 5 minutes). Add the diced onion and sauté for another 5 minutes. Add the wine and sauté for 2 minutes. Add the flour/milk mixture and cook for 2-3 minutes until thickened. Remove from heat and stir in grapes. Place meat mixture into prepared casserole dish and set aside. Combine flour, baking powder and salt in a bowl. Add milk and butter, and combine to form a ball. On a floured surface, knead dough several times. Using a rolling pin, roll to about 1/4 inch thickness (roll out to the shape of your casserole dish). Using a knife (or pizza cutter) cut the dough into 1/2 wide strips. Place strips on top of casserole forming a lattice (or just criss cross the strips if that is easier). Beat the egg and water, and brush the top of the pastry. Bake for approximately 23-25 minutes. Pastry should be browned, and meat mixture should be bubbling. 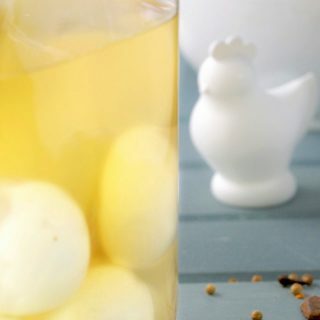 Tried this recipe?Let me know by leaving a comment and rating the recipe below! ALSO take a picture and tag @homemadeandyummy and #homemadeandyummy on Facebook. YOU could be featured in my WEEKLY NEWSLETTER! Nutritional information on this site is generated via a plugin. I am not responsible for the accuracy of the plugin information. Thanks…hope you give it a try. 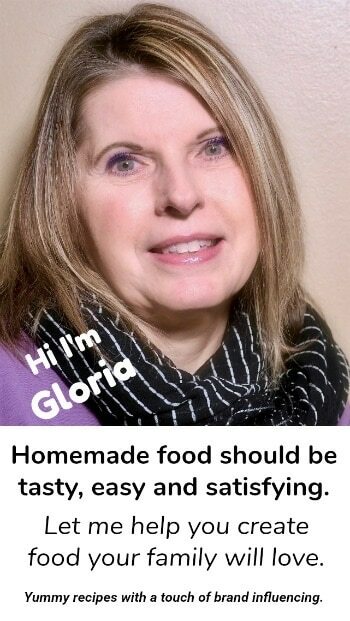 Gloria, how beautiful! I love that you’ve taken the time to share some tips about French cuisine in this post too. Thanks so much for your kind words. Glad you like the post. This looks great! Only question is how big of a casserole dish? 3qts? 2qts? Thanks! I used an 8 x 8 inch square dish. That lattice is so impressive… I can never make mine look that pretty. 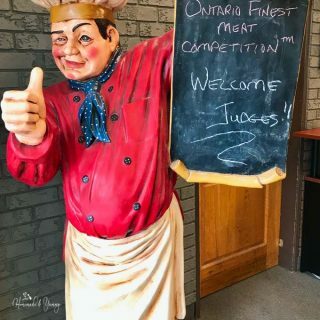 Well done… and the recipe sounds amazing, too! It really is not hard, just takes a little patience. Wow, just look at that beautiful crust! Also, I love throwing wine in a sauce (and in my glass), too! That is the best part. Beautiful, flavorful way to use up our turkey leftovers! The lattice topping is so pretty! Looks divine!The sauce sounds wonderful!Loving the lattice work too! It was a fun and easy recipe to do. 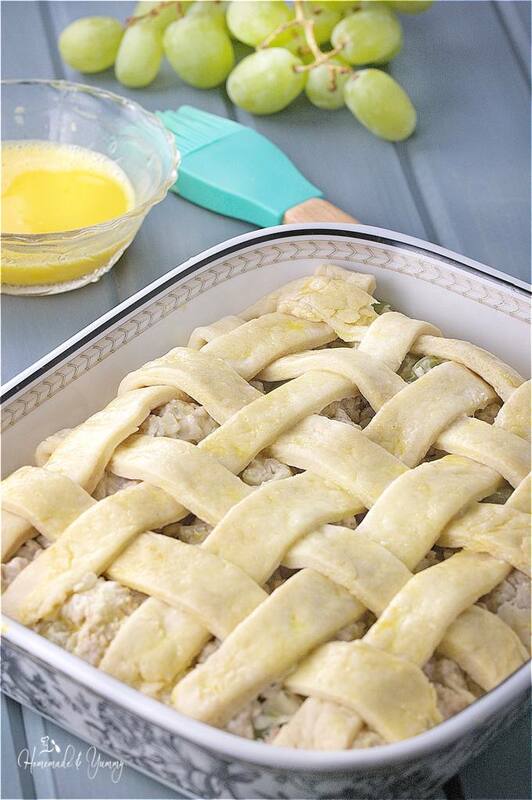 I love the lattice top you did on this pie! It was so easy…an adds such a nice touch. This is the ultimate comfort recipe, I love French food, so rich and the sauce sounds awesome! This is so easy and delicious. 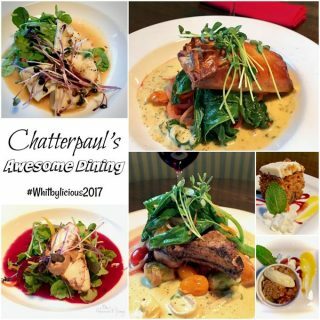 We are definitely in a dinner rut! Too much working, not enough planning! Adding this to my list of things to try! 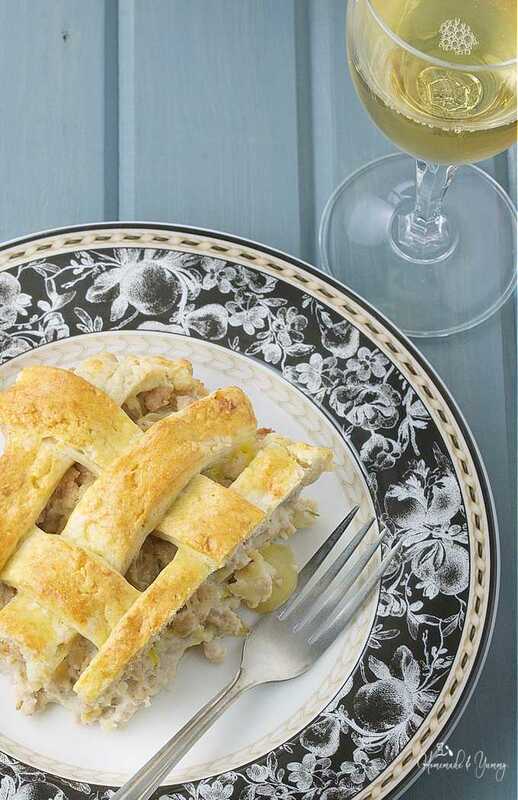 Love the lattice crust on top and the grapes! I need to try this! It does add a special little touch for sure. Dinner rut?? Oh yah! Especially at this time of the year…!! I don’t do a lot of French cooking because it seems scary but this looks delish and totally doable. I love the idea of using grapes too!! So easy…give it a try. Thanks so much Veena…it is easy and delicious. This looks so comforting, I love the addition of grapes! 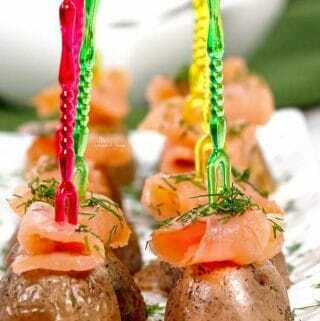 This is so beautiful– I love special dinner ideas like this. I am pinning! I love this idea! Can I use leftover roasted turkey instead of ground turkey? 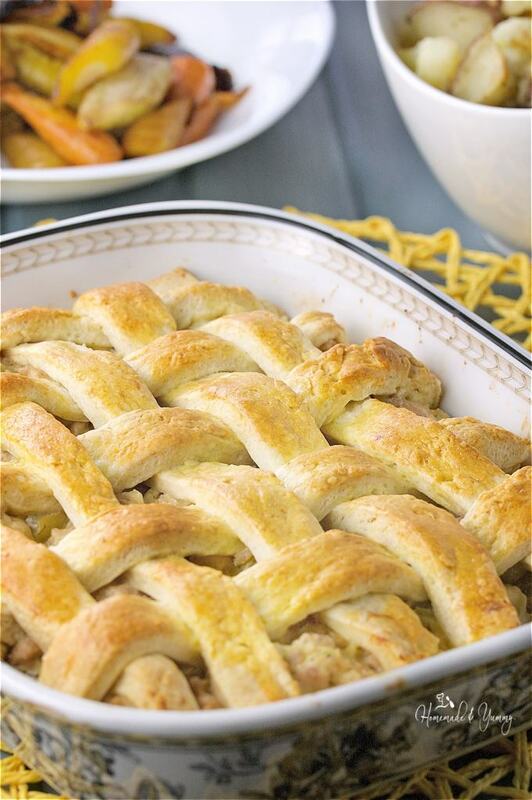 Also, that lattice crust is GORGEOUS! Thanks so much. I don’t see why not…just don’t need to bake it as long. ENJOY!! We love experimenting in the kitchen too. And I totally agree that everyday ingredients can be made delicious! It is so easy to make. 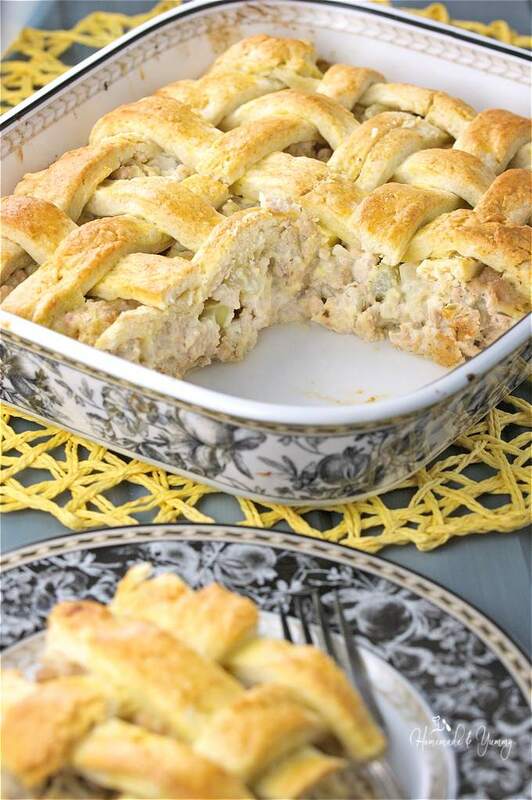 Love the lattice top on this rustic meat pie – so pretty. 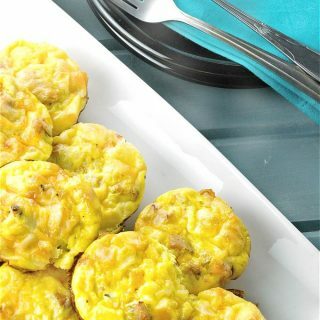 The filling also looks delicious and easy to put together. Thanks for sharing! A quick and cute little finishing touch. This looks almost too pretty to eat! It sounds amazing. Can’t wait to try this wonderful recipe. It was easy to make and so delicious. Omg can we say yum?!?! This meat pie looks absolutely delicious!!! Must give it a try!!! Oh wow! I love the lattice crust on top. Such a great looking pie. Never thought to use grapes this way. It sounds incredible. A little easy French cooking at home. The sweetness of the grapes and the savory of the pie! Looks wonderful. You are speaking my language with his turkey pie! It looks absolutely delicious! I’m always looking for yummy turkey recipes, thanks – I can’t wait to try it next week! Hope you enjoy it….easy and delicious. I love the weaved pie crust on top. It is the perfect fancy adornment to match the fancy name. Yes it is fun…and really easy to do as well. I definitely get into dinner ruts. This recipe is a good way to get out of it, and I would hope I would have some leftover for lunch the net day! It does make great leftovers. I do like a good pie. I seem to be addicted to pastry as well as chocolate. Love the lattice work you’ve done, it makes it look extra special. It is a really easy touch that seems to make it fancy. Looks like a good dish to try. I’m certainly in a dinner rut these days! We all seem to get into them for sure. It is so easy and really delicious. It is not difficult to do…just looks that way. Oh my this looks so good. I don’t think I have ever had a meat pie made this way. I am so keeping this for later. Hope you enjoy it as much as we do. I have never had a meat pie but it would be good for all those thanksgiving leftovers. Thanks for the recipe it looks good! This is definitely something my family would eat. Your lattice work is beautiful, and the crust is nicely browned. This would make a hearty dinner on a cold day. And it makes great leftovers too. I will admit the first time I tried some crepes with chicken and grapes I was not sure if I would like it. Turns out I did. Your email Recipient email Are you human?